Mr. Blackwell has been handling bankruptcies since the mid-1970’s for individual debtors, businesses, creditors, and as a trustee. This experience has involved thousands of bankruptcies and hundreds of adversary proceedings, which is litigation within those bankruptcies. Mr. Blackwell has also negotiated workouts or settlements with creditors for clients to avoid having to file a bankruptcy. In the same period of time, Mr. Blackwell has represented people and businesses in civil and commercial litigation in both State and Federal courts. His approach is to aggressively represent his clients’ best interests, whether through a negotiated settlement or trial. Mr. Blackwell has also been preparing estate planning documents and helping people protect their children and family, with the least delay and cost possible. Mr. Blackwell handled his first Social Security disability case in 1975 and has represented hundreds of claimants since then. In the course of this representation, he has represented claimants before the Social Security Administration, the United States District Court and the 8th Circuit Court of Appeals. Mr. Blackwell was a law clerk for Chief Judge James Meredith of the United States District Court, for the Eastern District of Missouri, based in St. Louis, which is the federal trial court. This was invaluable training in seeing how cases were tried by some of the best lawyers in the State of Missouri, and thereafter having the Judge critique what had happened in the courtroom. 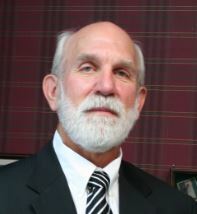 Mr. Blackwell was Chairman of the Commercial Law Committee of the Missouri State Bar Association in 2002 to 2004. As Chairman, Mr. Blackwell successfully led the efforts to make the first overall significant changes to Missouri law in twenty-two (22) years in the area of exemptions to benefit individuals either filing for bankruptcy or with judgments against them. Mr. Blackwell operated many businesses as a Chapter 11 Operating Trustee, including an ice plant, a construction company, and a car dealership. The majority of these businesses were then sold or transferred as a going concern. In 2004 Mr. Blackwell received the Michael Roser Excellence in Bankruptcy Practice award, which is awarded to only one attorney in the State of Missouri each year since 1992. Mr. Blackwell is an AV rated, Bar Registered Preeminent Attorney in Martindale-Hubbell, one of the most recognized ratings for attorneys. Mr. Blackwell was also named a Missouri-Kansas Super Lawyer from 2006-2018 (awarded annually to only 5% of attorneys). Mr. Blackwell has presented and moderated at many seminars over the last 30 years on subjects including bankruptcy, social security and other practice areas.